DevOps is no longer a new concept. There are entire tool ecosystems, methodologies, and transformation models, as well as endless resources out there to guide companies along the DevOps journey. But how do you do the basics well, and how do you measure success? The tools you use will differ if you’re running a Platform as a Service (PaaS), running a mobile application, or serving as a bank. Nevertheless, there are some core Key Performance Indicators (KPIs) that should be common to all of these environments. This article will take you through the KPIs you should either evaluate or revisit and examine what you should consider when measuring success. How to Improve Your Kubernetes Security? Last week our team came back from KubeCon Seattle, CNCF largest event to date with over 8000 attendees (!) where they showcased our Microservices Firewall, and I thought that now would be a good time to touch base again and talk about Kubernetes security. What Is ChatOps and How Does It Scale Up Cloud Security? Exposing Kubernetes Workloads to the World Without Losing Sleep (or your Mind)! So, you’ve got your Kubernetes cluster up and running, and now its time to expose workloads to the outside world in a secure fashion. How to Configure Jenkins BitBucket Branch Source Plugin? 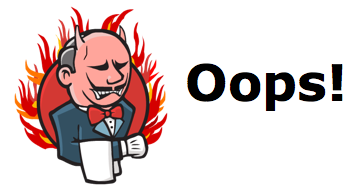 In case your Git repo resides in Bitbucket and Jenkins is your favourite butler, you’ve come to the right place. There is a great plugin out there that helps connecting Jenkins to your Bitbucket account called Bitbucket Branch Source Plugin. This plugin comes really handy especially if your project has multiple branches. In Jenkins lingo “Multibranch Project”. Security is critical to any organization. In the tech world, security can be defined as a set of controls and policies that protect and secure applications, data, and the technological infrastructures they operate on. In this blog we will be looking at the most common AWS security best practices.